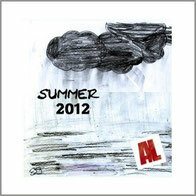 German garage band AL releases the new EP "SUMMER 2012" from New Way Music Germany on July 1st, 2012. Produced by AL, recorded and mixed at Rock or Die Studios in Düsseldorf by Michael Czernicki and mastered at bionicaudio in Düsseldorf by Rainer Kremer. The cover artwork is designed by Elijah Berier. It is available at AL website soon. Enjoy the Summer from Germany!